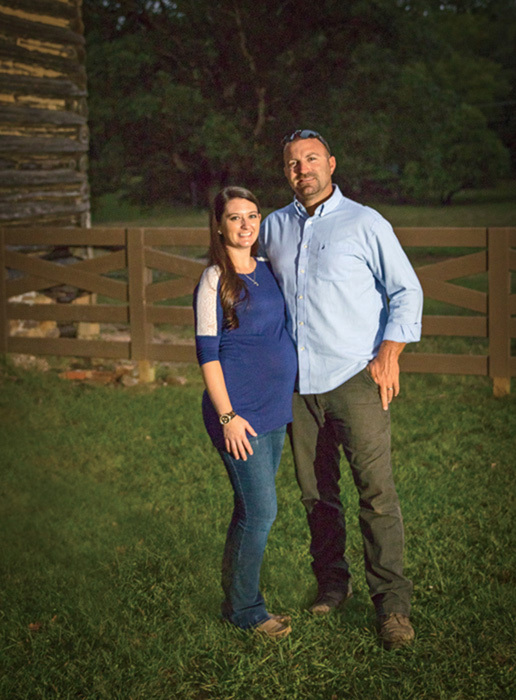 Will and Becky Roberts stretch themselves beyond the one-commodity revenue stream to grow their income through a complementary fence- and gate-building business in Virginia. Everyone from Roy Rogers to Cole Porter has crooned the lyrics to “Don’t Fence Me In”: “I can’t look at hobbles and I can’t stand fences.” But Will and Becky Roberts of Pittsylvania County, Va., love fences and gates, and farming. 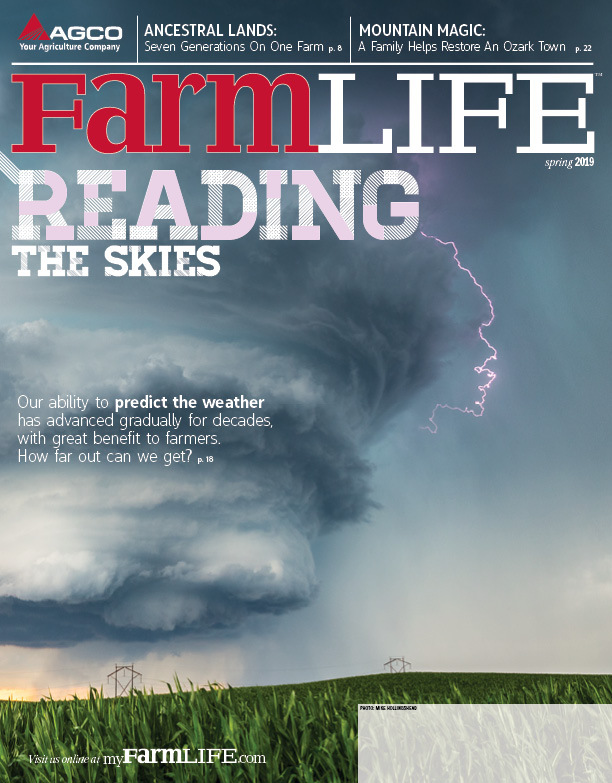 Yet, like all too many young farmers, the couple, who married in April 2015, has struggled to make farming pay, particularly with increases in costs for health care. Obtaining affordable health coverage is one reason the Robertses anticipate Becky will continue her career as an assistant principal at the Pittsylvania Career and Technical Center for the foreseeable future. The couple doesn’t want things to be that way forever, however. Both grew up among farming families and love working on the land, and hope they both can pursue farming as a viable long-term career. Learn as You Go. Will, a native of neighboring Caswell County, N.C., where he’d often helped on his grandparents’ small cattle, tobacco and timber operation, went to college with the hopes of working in forestry. But when he couldn’t find a job close to home, he began what he supposed would be temporary employment as a farm manager for a beef and Boer goat operation in Pittsylvania County. 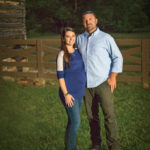 Through a commitment to saving money, putting together a business plan and seeking financing through Farm Credit of the Virginias, Will, in 2012, purchased his own farm, which included two parcels of non-contiguous acreage amounting to just under 160 acres. Today, he and Becky run a small cow/calf operation with 34 cows, two bulls and eight replacement heifers, alongside a haying operation. Including rented acreage, the Robertses farm about 500 acres total. Income from that alone, however, is not enough to pay the bills, but Will had seen additional opportunity related to his own cattle operation. Taking what he’s learned, he started a fencing and custom gate business. Rawhide Fencing Services, LLC, and Sta-Bull Livestock Equipment, LLC, seemed like a logical extension of his beef cattle operation, particularly since Pittsylvania County is one of the largest dairy and beef producing areas in Virginia. Plus, it offered Will and Becky an opportunity to provide a much-needed service to producers like themselves. “It was just me and one other guy for two to three years,” Will says of the fencing business, which has expanded within the last year to include custom gates. Yet today, the fencing side of the couple’s business ventures has seven full-time employees, not including Will and Becky. Will says a lot of his customers are looking for fencing assistance for Natural Resources Conservation Service (NRCS) and Soil and Water Conservation District cost-share programs, and indicates those government programs make up about 50% of Rawhide’s contracts. Meanwhile, custom gate, panel and feeder work are hot items as well. Currently, the company is putting up 70,000 to 90,000 feet of fence annually. Will and his crew do everything—fixed-knot woven wire, board fence and high-tensile fence. All In. And it’s the couple’s willingness to do just about anything that keeps them growing. Both are actively involved in the local agricultural community too, serving together on the county’s Agricultural Development Board as well as being District 10 representatives for the Virginia Farm Bureau Young Farmers. Becky says one of her greatest concerns for future farmers is health insurance. “America’s current health care system holds the small business owner and the farmer in a strenuous and unforgiving position,” she notes. “Rates are far too high, and most simply cannot afford health care coverage as it stands today.” She points out that many farm families go without insurance or do as she and Will have done, where one member of the family has an off-farm job to provide health coverage. With the farm, the fencing business and all their volunteer work, Becky says the couple is running day and night, Monday through Saturday every week. “We reserve Sunday for the Lord and each other,” she says. 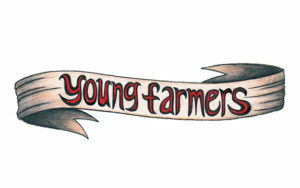 As for Will, he says he couldn’t have landed a better partner on the farm and in the business, noting that Becky is “a rare sort.” Because she was already active in the local ag community and such a dedicated volunteer, she had no trouble adjusting to the busy farming and fencing lifestyle Will was already establishing before the couple met five years ago.